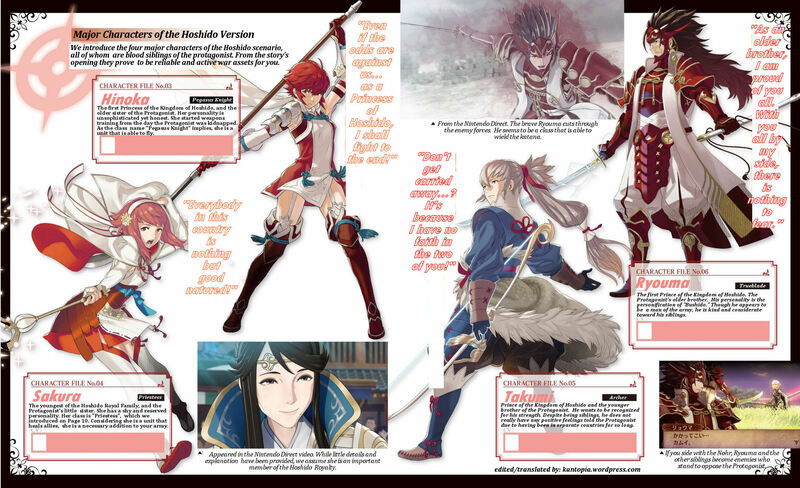 A reader kindly pointed me to FE: IF Dengeki scans from here. 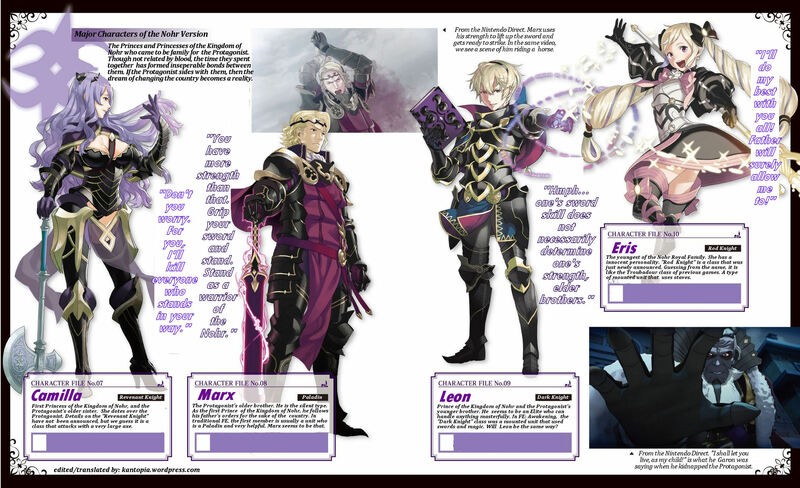 I translated the character profiles as the gameplay info is likely similar to the Famitsu ones, which I translated in full here. I intend to translate the information on the TCG soon. -I made Character Page 1 by moving the Protagonist next to Aqua, they were originally on two separate pages. -I referred to the Protagonist as a “he” but really can be either gender. I just used it as a neutral umbrella term! -I erased the voice actor information. It made it look cleaner, as they are hard to read and can easily be mistaken. 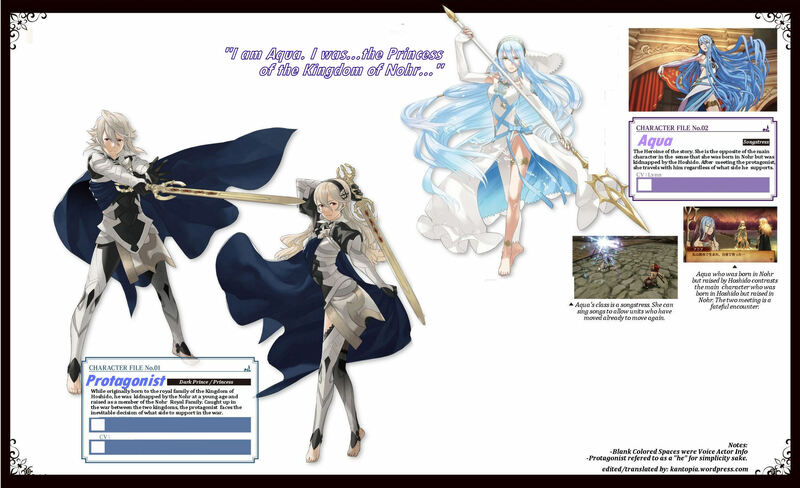 This entry was posted in Fire Emblem, Magazine, Translation, Video Games and tagged 3ds, aqua, archer, camilla, character profiles, dengeki, edit, english, eris, fe, fire emblem, hinoka, hoshido, if, intelligent systems, japanese, kamui, leon, marx, nintendo, nohr, paladin, protagonist, revenant knight, rod knight, ryouma, sakura, scans, takumi, translation, trueblade. Bookmark the permalink. In this case as they keep defaulting to the male protagonist I just wrote he for simplicity. I’ll use they as I have been in the future. Thanks! Damn the feminazi’s got here quick. Great Translation, Great Job! I like it!